This is the ‘real’ first post in my why learn section here on vLenzker. If you are looking for sources how to learn more about VMware’s (new) software-defined networking flagship, please check my let’s learn VMware NSX section. So why do I believe NSX is a great chance for everyone working in the server virtualization field to extend his knowledge and become a better sysadmin, consultant, architect? Yes sure, we are taking some network functions (routing, switching, dhcp, …) away from the current solutions and bring them closer / integrate them deeper with the hypervisor on the computing nodes. Does that mean we will get rid of classical network know-how/knowledge/people? Nope. Does that mean that you can relax and don’t need to benefit from getting more in-depth knowledge with the networking field? Maybe, if you don’t want to progress. 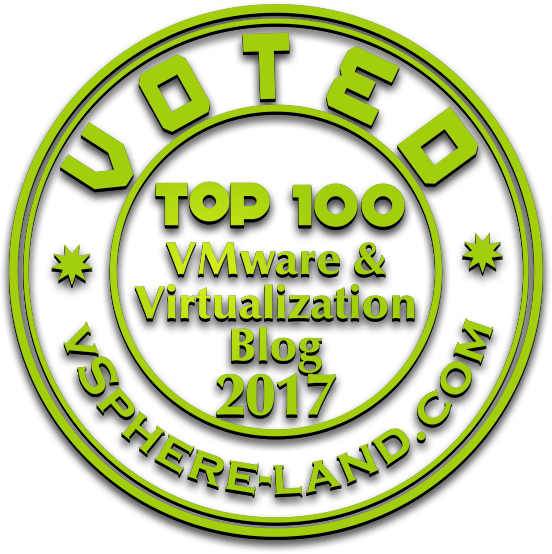 I am going to give you some arguments why it might make sense to learn more about VMware NSX. 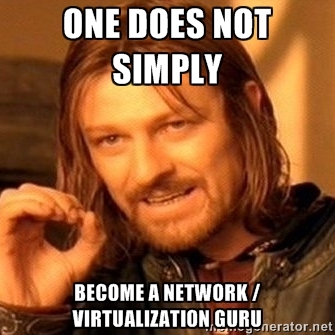 1) The better your network skills, the better you can do your job (IT related job ;-) ). We all know networking somehow. We have a (more or less) functional understanding of routing, switching, etherchannel, IP and subnetting. But many of us have never learned the logical concept behind those mechanisms (on CCNA / CCNP level). Understanding those concepts will offer complete new opportunities to you for achieving your goals and create new IT-systems (or troubleshot problems ;-) ). You want to create a demo-center for some applications? You wont come far if you are not able to ensure how your clients are getting connected into the demo-center. You might need to configure routes, firewall-rules, ….. You have currently know idea how you would start with that? Learn about NSX and you will learn many network fundamentals. We (as virtualization-people) are not alone in the datacenter. We are the glue, connecting several items. We still need experts in every connected domain. Some expertise can be found internally, some may be found externally in form of service providers or consultants. Transforming into a software-defined world is creating a huge amount of new products and services within our field. The world is getting bigger and more complex. The requirement to interact with experts in the other fields is getting more and more important. You need to be able to communicate what you have (that’s something you typically know) and what you want (this is more complex). You cannot just say I need the server connected to the internet. The more detailed you can specify your request (network, vlan, load-balancer, s-nat, d-nat, location, ….) the faster your opponent (the network team) can and is willing to react. 3) Learning and understanding basic concepts will banish the monster. From my experience (and I assume I taught around 500+ people) many experts in the IT infrastructure are scared about two things. Programming & Networking (the monster). And to be honest. There is no need to. Learning about programming & networking in a structured way (from concepts to logics to physics) combined with a real-life benefit (e.g. solving a concrete problem in daily operations) can take away the angst (yeah… a German word) from those monsters. 4) See the IT infrastructure from different eyes. NSX is a pretty cool piece combining many awesome technologies. It offers several functionalities that are changing ways of doing stuff in the datacenter. Convinced? Check my let’s learn NSX section.